At Rooter Drain Experts, our sewer camera inspections ensure that our customers don’t need to pay for more services than is required for their pipeline problems. Our sewer camera inspections prioritize accuracy and meaningful diagnostics, and because of this, we make sure our solutions will fix the problems completely. With personalized recommendations for each situation that we encounter, we are proud to offer our innovative, practical sewer camera inspections to the customers in Simi Valley. All of our visits are prefaced with our sewer camera inspections because of their ability to be employed easily and conveniently for our customers. We find access points or dig small holes to pipeline connections and insert our cameras into the pipes, ensuring that we gain a clear visual of the condition of your pipes without heavy digging. The camera is navigated through the pipelines, ensuring that we gain a holistic view of the quality of your pipes as well as exposing any problems within your pipes, and can even illuminate the smallest of cracks and leaks. Our technicians view this footage through a monitor and take the time to ensure that the entirety of your pipelines are carefully inspected for trouble areas. Once the inspection is finished, our technicians will be able to determine the best course of action for fixing your pipes. 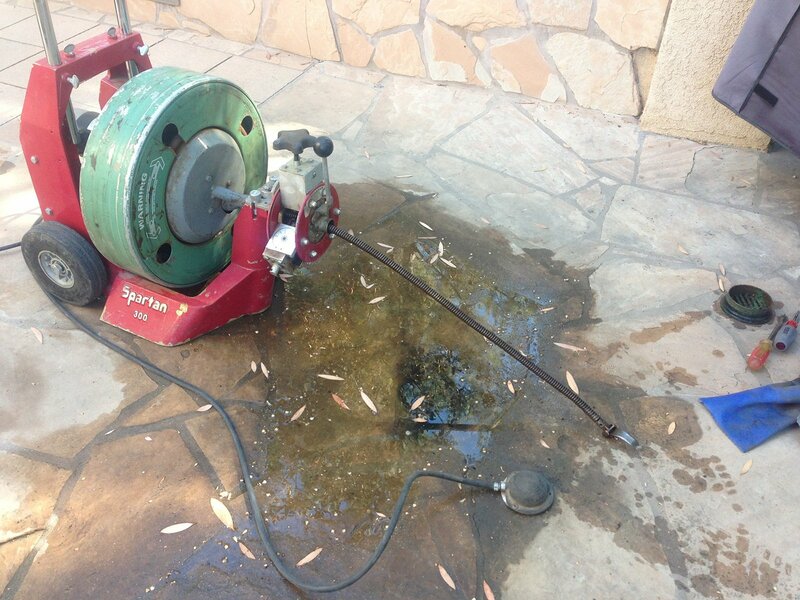 Whether your pipes need to be relined with trenchless pipe lining or simply cleaned with hydro jetting, this process has the potential to save thousands of dollars worth in repairs by ensuring that the correct solution is reached. Sewer camera inspections are the best way to ensure you are not paying for more than is necessary. They allow our technicians to see inside of the pipe through a video feed. Every problem may be different and would require a different solution. Conducting sewer camera inspections allows our specialists to see exactly what is wrong so they may determine the best course of action to fix it. This could be the difference between a drain cleaning, trenchless pipe lining, or a complete replacement; the difference between each being thousands of dollars. Trenchless pipe lining only takes a day compared to the traditional dig and replace that may take weeks or months and is much more invasive. By this simple camera inspection, we ensure you will receive only the best for your home or business. Even if you are not facing a specific problem, sewer camera inspections can determine if there are any underlying issues that may not be noticeable right away but will appear over time. This may be instrumental in the purchase of a new home, and could save you thousands of dollars. If a problem in a building, particularly if it has an older sewer line infrastructure, goes unnoticed and is not addressed, it could easily become an expensive tragedy. Regular sewer camera inspections can be valuable to maintaining and monitoring the quality of your pipes. A simple camera inspection can help prevent clogs, leaks, and cracks by catching potential complications before they form. With our years of experience using the best technology available, we will bring you the best solution to any problem you may have in the quickest and most convenient way possible. The video quality will be sharp and clear and will clearly allow us to see inside to locate corrosions, leaks, and cracks. Hydro jetting will clean out most clogs but trenchless pipe lining may be used for more extensive repairs. We are proud to offer the best solutions that keep your home and landscape intact. Schedule your sewer camera inspection with Rooter Drain Experts today, and we will be happy to help you and determine the best repair solution available with our highly accurate services.